Mommy and Me. Ruth and Priya. Toledo Ohio. I have had the pleasure of working with Ruth and Priya before. Priya is one of the most expressive girls I know! She makes hilarious faces and loves to have fun. 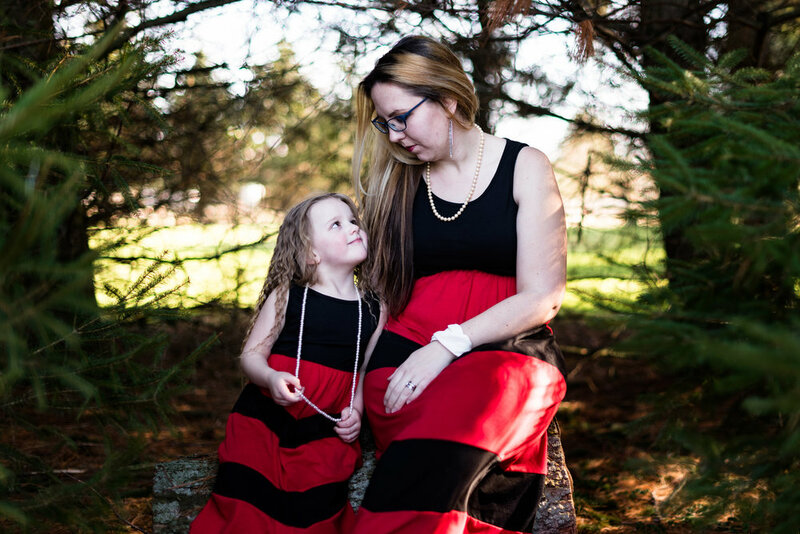 Ruth and her daughter showed up in these adorable matching maxi dresses accessorized perfectly with pearl necklaces. They looked smashing! Watching Ruth and Priya interact, it is clear they have a special bond. Priya is a strong personality, and sometimes butts heads with her momma when she gets told "no" (what kid doesn't? ), but Priya is totally smitten with Ruth and loves her mom so much! The smiles these two shared, while singing songs together, were priceless. 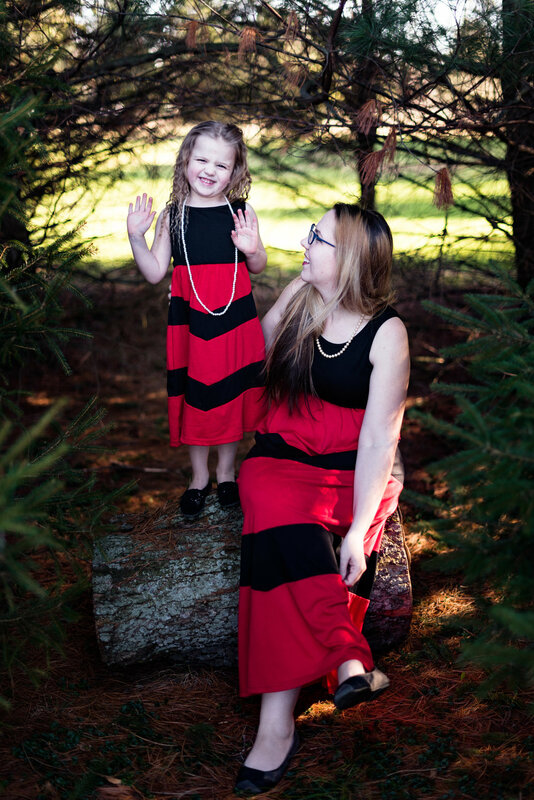 Though I do numerous posed family portraits, I always enjoy capturing the sweet candid moments as well. You can see more of the fun, goofy, and tender moments in the photos below. What are your favorite things about your mom? My fondest memories follow the themes of Christmas celebrations and handmade Halloween costumes; the smell of home-cooked meals and chocolate chip cookies. My mom always encouraged me to learn new things, to treat others with kindness and to always have faith. A mother, as defined by me, is someone who loves you no matter what you do, no matter how much you mess up and no matter how much it hurts. Don't forget to do something special for your mom on May 14th! REBECCA TRUMBULL IS A WEDDING PHOTOGRAPHER LOCATED IN BOWLING GREEN, OHIO. SHE HAPPILY SERVES TOLEDO, OHIO AND ALL OF NORTHWEST OHIO WITH HER WEDDING PHOTOGRAPHY AND COMMERCIAL PHOTOGRAPHY WORK. If you would like to get more details on booking a session like this one, please fill out the contact form below!